Following the reveal of the $4 million Lamborghini Veneno, CarBuzz Editor Noah Joseph can’t help but wonder when the madness will end. Every once in a while, some athlete breaks a new record. And you know what happens next? A whole bunch follow, breaking that same barrier that previously seemed insurmountable. You might say the same with supercar prices. It wasn’t that long ago that the notion of spending a million dollars on a new car – collectable classics being another matter entirely – seemed unthinkable. But just like it shattered our notions of how fast a car could go, the Bugatti Veyron set a new standard with its seven-figure price tag. Even if you didn't have the benefit of hindsight and an encyclopedic knowledge of cars at your disposal, you could still guess what happened next. Aston Martin created a seven-figure super-GT called the One-77. Ferrari made a track version of its already pricey Enzo supercar called the FXX that cost $2 million (including participation in the company’s exclusive client development program). Prices on new supercars from boutique manufacturers like Sweden’s Koenigsegg and Italy’s Pagani started nudging north of the million-dollar mark. And Lamborghini rebodied its Murcielago as the more exclusive Reventon. At 1 million euros, it was the most expensive car Lamborghini had ever made. But that was just the start for the Bolognese automaker. After quickly selling all 20 of the Reventons it announced it would build, Lamborghini made another 20 roadsters. Celebrities and royals bought them up as fast as, well... a Lamborghini. And the company took note. A few short years later, it opened a new production facility, alongside the main production line at Sant’Agata, specifically to hand-build limited-production vehicles like the Reventon. Its first task was to build 20 examples of the Sesto Elemento concept from the 2010 Paris Motor Show. Despite being confined to the track, the lightweight, Gallardo-based supercar still commanded 2 million euros apiece. Even that price tag seemed like a relative bargain, though, when Lamborghini took the wraps off the new Veneno at the Geneva Motor Show just days ago. 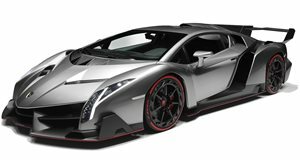 Based on Lambo’s latest V12 flagship, the Veneno is to the Aventador what the Reventon was to the Murcielago: an already superlative supercar wearing a suit even more tailored than CEO Stephan Winkelmann’s. The price tag this time topped $4 million - nearly twice the Sesto's, four times the Reventon's and ten times the Aventador's. Still, all three Venenos that Lamborghini will offer have already been sold to wealthy customers eagerly opening their wallets to whatever the boys in Sant’Agata can cook up. 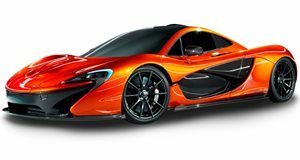 Meanwhile down the hall, both McLaren and Ferrari revealed more advanced supercars that are at least as capable as the Veneno but will be built in larger numbers (still highly exclusive) in the hundreds. Though assuredly costlier to develop, the P1 and LaFerrari will cost little over one million apiece. Some may have scoffed when McLaren chairman Ron Dennis described the new P1 as “affordable”, but next to the Veneno, it doesn’t seem that outlandish a claim.